Lekker Bikes has selected a premium quality disc brake carrier, carefully designed to fit any disc brake featuring on our bikes. 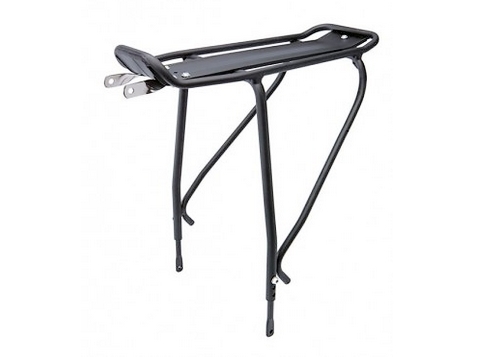 Its lightweight alloy construction makes it a perfect rear rack for touring, commuting, and general load lugging. It is specially designed for DISC Brake models. The top plate of the rack is ideal for any kind of conventional bag as well as rack pack, while also acting as a mudguard. It has a carrying capacity of 25kg and is available in black colour. To sum-up, if you wanna go for some shopping or hit the road with your kid, the Alloy rack is your perfect cycling companion!